BJ Communications have continued to grow and diversify its services to include telephony, data and electrical. 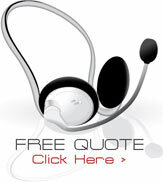 BJ Communications specializes in the sales, installation and service of NEC phone systems. We are also one of Australia's leading NEC Channel Partners. With our relationship with NEC, BJ Communications is committed to providing a total communication solution that caters to every one of your business requirements. These solutions include Key Telephone Systems, PABX, VoIP, and Call Centre Applications. BJ Communications was established 23 years ago providing telecommunications services to the business community. Since the beginning, BJ Communications have continued to grow and diversify its services to include telephony, data and electrical. BJ Communications is committed in providing the highest quality of service to our customers, whether it's a small service job, Key Telephone system or fully integrated voice and data network. BJ Communications also partner with other leading vendors (such as NEC, Telstra, Optus, MGE, Alpha technologies, Krone and Molex) to provide Turnkey Solutions.